If you’ve been bitten by the travel bug, then you might have an urge to visit a new destination. Instead of waiting for your next break from work, you could alternatively consider a road trip instead. There are a number of benefits that come from choosing to go on a road trip such as being in direct control of your trip, having the flexibility to stop and start when you want to, and the opportunity it provides for you to be spontaneous. There are a number of states that you could consider driving to, and you would only need a few things such as a working car, a valid driver’s license, and gas full of tank. There are, however, a few more things you’d need to make your trip as seamless as possible. Start with planning. Memories are important so grab you Road Trip Planner and let`s put some road trip essentials together. This article is going to look at three, in particular, to take with you next time you’re going on a road trip. When traveling to another city by car, it is important that you know exactly where you’re going. Although getting lost can be an adventure in itself, it isn’t ideal if you aren’t interested in detours. In this digital age, there are a number of ways to access apps with the primary way being downloading it unto your phone. Other forms of navigation to consider are GPS systems as well as a traditional paper map in case technology fails you or you find it difficult to connect to the internet. If you happen to be a smart and cautious traveler, you should consider trying Citymaps as it will offer both offline and downloadable maps. Another consideration to think about when going on a road trip is what you’ll eat and drink on the way. Although there are usually places that you can stop and eat when you’re traveling in-between cities, you may find that bringing your own food will reduce the number of times you have to stop as well as save the amount you spend on food. Before heading out, you should place food and drinks in a good quality cooler that’s likely to keep your food items and drinks cool if necessary. If you don’t already have a cooler, before going ahead to purchase one, you should research into coolers with the best ratings and look at the different brands as well as what they offer. When driving a long distance, there are so many things that could go wrong. In order to prevent yourself from being stranded while on your road trip, you should take enough cash with you. This could save you the hassle of having to go to the ATM to withdraw money, especially in the case of an emergency such as a flat tire at night, your car breaking down, or needing to stop driving for a little while to rest. Having enough cash will enable you to quickly resolve any issues that may arise as well as save the day if you happen to lose your debit or credit card. 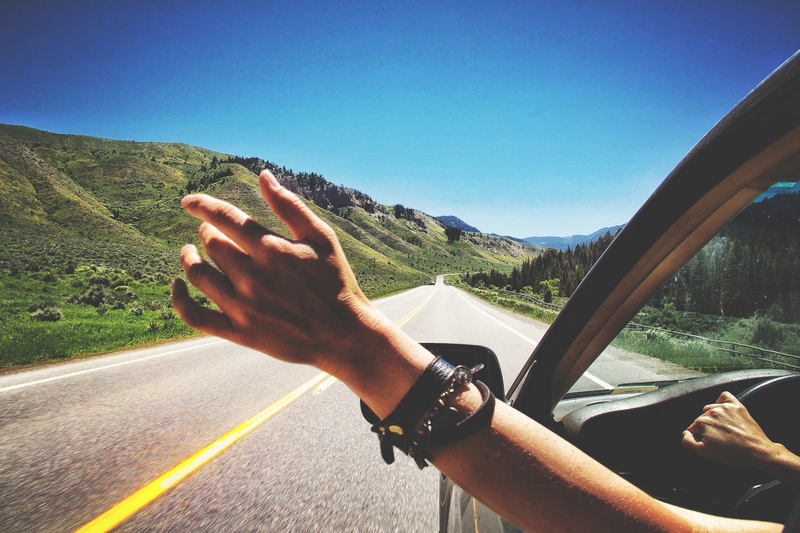 Road tripping can be a lot of fun, especially when you take a friend or two along with you. It creates an opportunity to drive to a new city, see new landscapes, and drive long distances which can be therapeutic. For these reasons, it’s important you take as many necessities as possible to ensure you get the most out of your trip.